Did you know that Confederation College offers an early acceptance program for Grade 11 students? 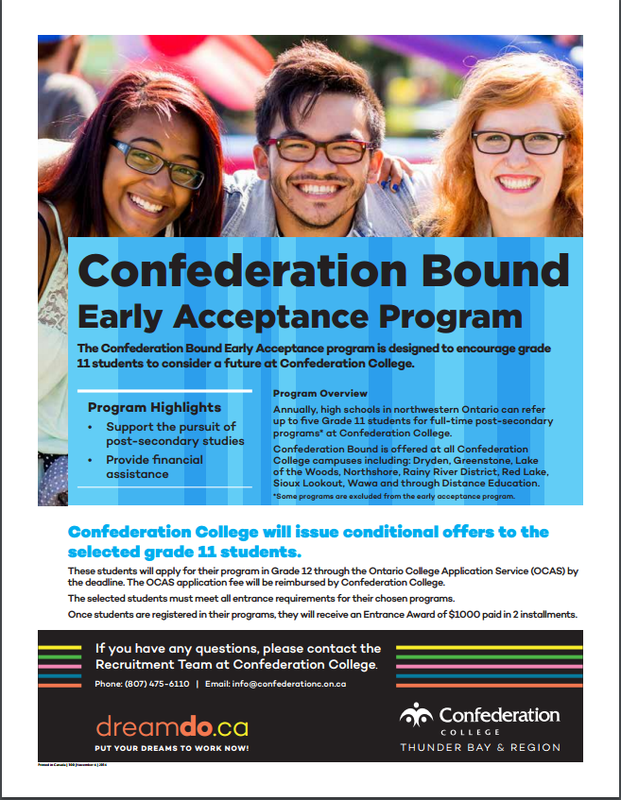 GCHS can nominate up to five students for the Confederation Bound Early Acceptance Program. Eligible students would then apply to Confederation College through the Ontario College Application Service and have their fees reimbursed by the college – along with a $1000 scholarship! For more information, students are encouraged to see Mrs. Humphreys in Student Services.